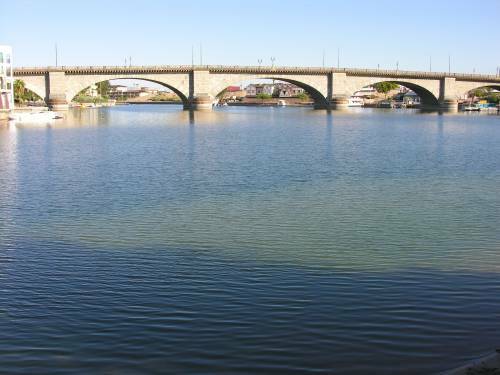 Lake Havasu is a reservoir behind Parker Dam on the Colorado River, bordering between California and Arizona. It is also home to the famous London Bridge. 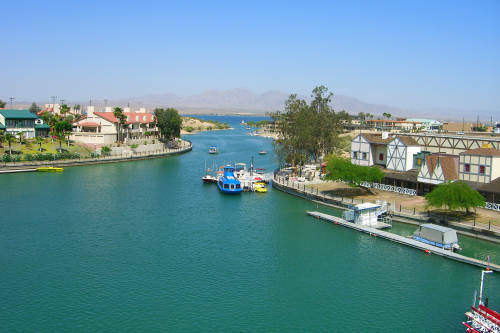 There are more than 300 sunny days out of the year at Lake Havasu making this lake a great spot for a vacation full of boating, fishing, hiking, sightseeing, and fun. London Bridge Resort offers luxurious and comfortable lodging in a water lover's paradise. Choose from jet skis and boats to rent, or cruise the lake with your family. Situated on 26 acres of shoreline, the Nautical Beachfront Resort offers immediate access to the Colorado River and a wealth of recreational activities.